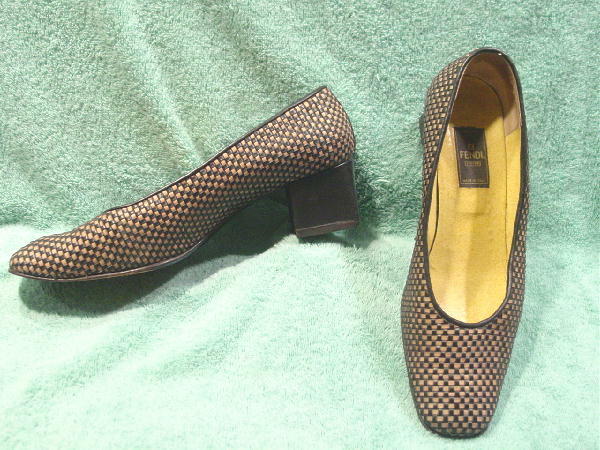 These woven leather wide toe pumps are by Fendi and were made in Italy. 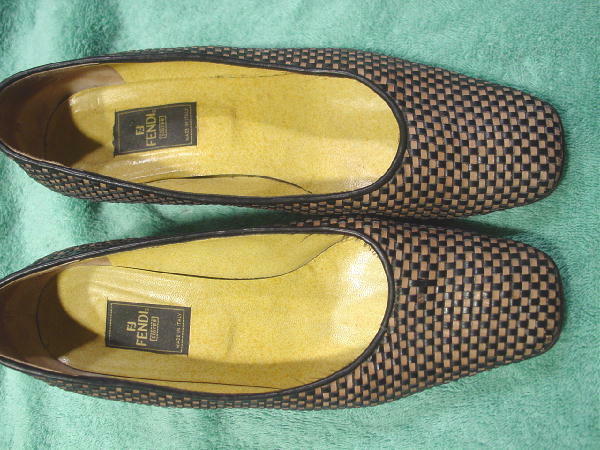 They have speckled light and dark yellow leather linings and insoles. The weave is in black and pale cocoa. The black chunky heels are completely covered in leather. The heels have some scuff marks and some line indentations. 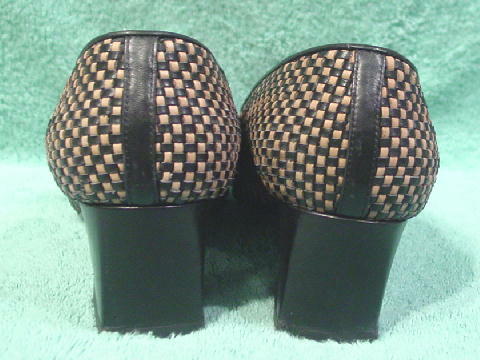 There is a thin black leather strip on the back of the foot heel. One of the pale cocoa horizontal vamp strips has a dark surface. She used to wear them to castings.